That's gorgeous. I'd love to live there...or at the least spend a few hours exploring. Nothing like these grand old homes! And that is a very nice photo of this one! I echo Jacob's thought. Gorgeous. This picture reminds me of a Ken Kesey novel written when at the BIg guest house that Alfred Hitchcocks in Upstate New York. makes you want to throw a party and serve Elecric Coolaide & technicolor Hor De Ourves in the garden. 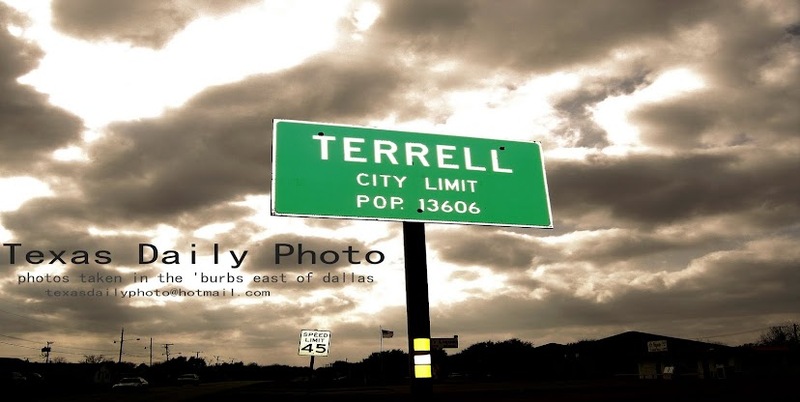 Terrell never looks as good in person as this photo does right now. Wow, that is a beautiful place. 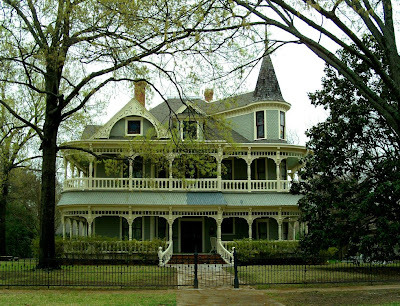 I love the turret, but even more than that I love those two wrap-around porches. I agree, I live two houses down from this home and still enjoy looking at the architecture around here.